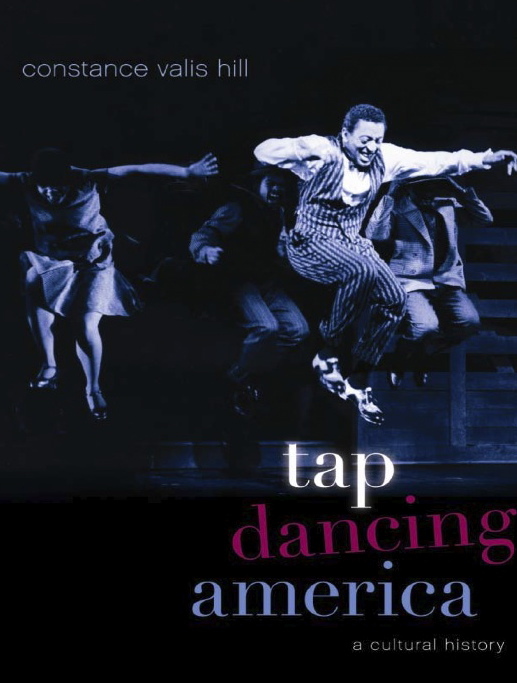 Tap Dancing America: A Cultural History. By Constance Valis Hill. Oxford and New York: Oxford University Press, January 2010. Cloth: ISBN 978-0195390827, $39.95. 464 pages. As one can clearly ascertain from the passage above, Hill is not only an accomplished tap dance historian (and performer), but an extremely descriptive and passionate writer; she is able to paint a colorful and dynamic picture for her reader, which is an arduous task when writing about a visual and aural art-form. In fact, that is what makes Tap Dancing America: a Cultural History such a compelling read. Obviously, her knowledge of the subject is substantial; but, with the material she is covering, she could have easily slipped into just providing her reader with a list of names, dates, movies, and scenes. Instead, Hill shows the reader the dance sequences she writes about using specificities and fine detail. This helps prove Hill’s claim that tap dance is a people-filled, tangible form of entertainment that is “intercultural and interracial” and is all “inclusive to men and women, soloists and choristers, sister acts and two-man teams, producers and choreographers” and to “proselytizers and preservationists” (xiii). Hill also successfully proves her claim by taking the reader back in time, to the early days of tap. Starting with the mid-1600’s to 1900, she delves deeply into the roots of modern-day American tap dance, which stem from a fusion of Irish American jig and sean-no dancing and Afro-American jig and gioube dancing, as well as turn of the century buck-and-wing dancing, which in and of itself stemmed from Appalachian clog dancing (22). She takes her time to provide to her reader a rich and layered history of tap, a history filled with many different racial and cultural dance styles. She then takes her reader on a decade-by-decade journey, writing on filmed and un-filmed dance sequences, and memorable and less-than-famous tap dancers like: Jack Donohue, Bert and Baby Alice, and George Primrose (1910s); James Barton, Buddy Bradley, and Fredi Washington (1920s); Buck and Bubbles, Edith “Baby” Edwards, Louise Madison, Fred Astaire, and Bill “Bojangles” Robinson (1930s); Betty Grable, Ann Miller, The Brothers Condos, Ray Bolger, and Gene Kelly (1940s); Little Teddy Hale, Leon Collins, Jimmy Slyde, Donald O’Connor, and Clayton “Peg Leg” Bates (1950s); Bunny Briggs and Charles “Cholly”Atkins (1960s);The Hines Brothers (Maurice and Gregory), Brenda Bufolino, and Honi Coles (1970s); Lynn Dally, Linda Sohl-Donnell, Diane Walker, and Savion Glover (1980s); Roxanne “Butterfly” Semadini, Baakari Wilder, and Ayodele Casel (1990s); and, Chole Arnold, Dormeshia Sumbry Edwards, Derrick K. Grant, and Sarah Petronio (present day). All of these tap dancers (amongst scores of others Hill writes about) have influence not only in the decade in which she spotlights them in, but also within the decades when the old timers intentionally or unintentionally stepped out of that spotlight to allow younger hoofers to continue on the path to tap dancing greatness. Very much like Lena Horne after her and in her own way, Aida Overton Walker was foundational and set the standard high for future dancers; and, Hill certainly gives Overton Walker recognition because of it. Overton Walker broke major misogynistic barriers, although it was (and in some ways still is) prominent some sixty or seventy years after she first set foot on stage. Hill’s strength is certainly in her ability to recognize the importance of women in a medium that never fully appreciated dancers like Overton Walker, Bufolino, and Dally. 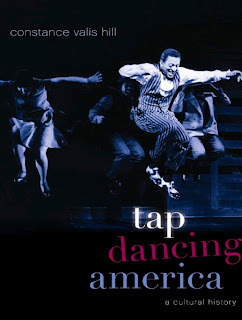 I must admit that it was extremely difficult to get through Tap Dancing America not because of its sheer length, nor because of its abundance of information, but because, after reading sections of Hill’s book, I felt compelled to go to YouTube to see many of the acts she alludes to. Bunny Briggs, Brenda Bufolino, Honi Coles, Gregory Hines, Jimmy Slyde: simply amazing clips, all of which are readily available for everyone to see. Just type in each name, and watch how sweet it is. And, yes, the Nicholas Brothers in “Jumpin’ Jive” is definitely one of the greatest tap dance sequences ever filmed; but the best: debatable.